Like all stock market in the world, investing in Bangladesh Stock Market (DSE &CSE) is a profitable business. Investing is always profitable if you can invest at the right place and at the right time. 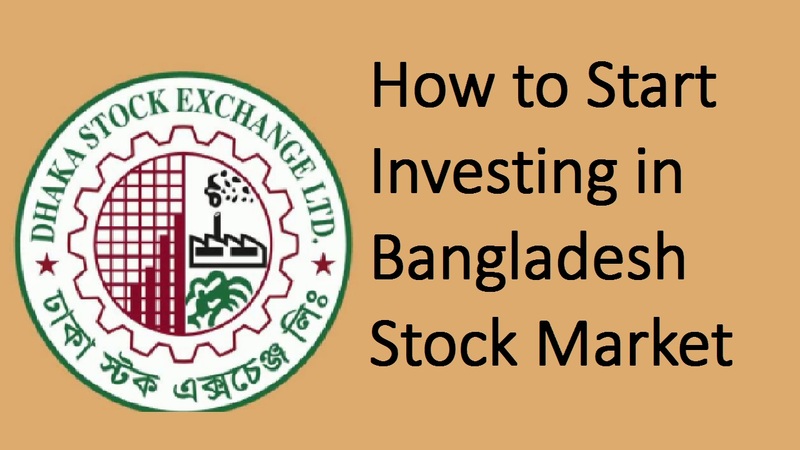 In this post, I’ll share with you, how to start investing in Bangladesh Stock Market. Before start stock trading in the stock market, you need to understand what stock market is, how it works, why you should invest. The stock market is not what types of the market where we usually go shopping. It is the market for buying and selling listed companies share. There are lots of companies are listed in Bangladesh stock market. More than 3 million BO account is active and over 1 million people are directly involved with the stock market. So, this is so important to understand the market and market summary. Beneficiary Owners account or BO account is the first steps to buy and sell stocks. Like a bank account, BO account is the type of account where you can buy, hold and sell your stocks. One person can open two BO account. The joint BO account and single BO account. While you gathered knowledge and opened BO account you all ready to invest in listed companies shares. There are two types of investment model. The first one is IPO (Initial Public Offering) is also called primary market. The next one is called secondary market. The secondary market is most popular with risk and profit. The primary market is almost risk-free in Bangladesh. The fact is that IPO or primary market investing is not available for all the time while the secondary market is always open. You can buy secondary shares at any time. The stock market is not a game. It is a money-making machine and at the same time money losing machine. So as a new investor in the Stock market in Bangladesh you have to make a plan. As a new investor, you should invest in IPO for at least six months. While you gathered enough knowledge then you can come to secondary market. You also should not invest your all the money in stock market. Make a six-month plan and steps by steps you can go forward. It is hard to say what the best company to invest money in Bangladesh is. But you can choose the high profile companies whose products, goodwill, and the company is popular. The money is your and it is your responsibility to save your money. All the best wishes to you.